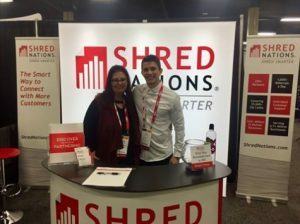 Shred Nations Creve Coeur thanks you for taking the time out of your busy schedule to research our shredding services. We’re sure your employees and clients appreciate you taking the proper precautions to destroying their confidential information into consideration. Shred Nations has helped over 1,000,000 people with their shredding needs and we are happy to help you and your company with yours. We started assisting companies with their shredding services in 1980 in Denver, we have since grown to over 5,000 partnering locations across the U.S. and are happy Creve Coeur is amongst the 5,000. If you are looking for mobile shredding, offsite shredding or electronic media destruction Shred Nations contractors will do everything they can to solve all your needs. We partner with contractors that comply with Missouri state and federal shredding laws and regulations. We want you to have the most confidence in our service which is why all our contractors are FACTA and HIPAA compliant, some are even NAID AAA Certified. Get Free Quotes on Shredding Services in Creve Coeur Today! Help us help you get your shredding project started by calling (314) 400-7653 or filling out the form to the right and receive your FREE, no-obligation quote within minutes. We look forward to working with you soon.